I just love the vertical lines in this image, so much so that i even left the lamp post in. 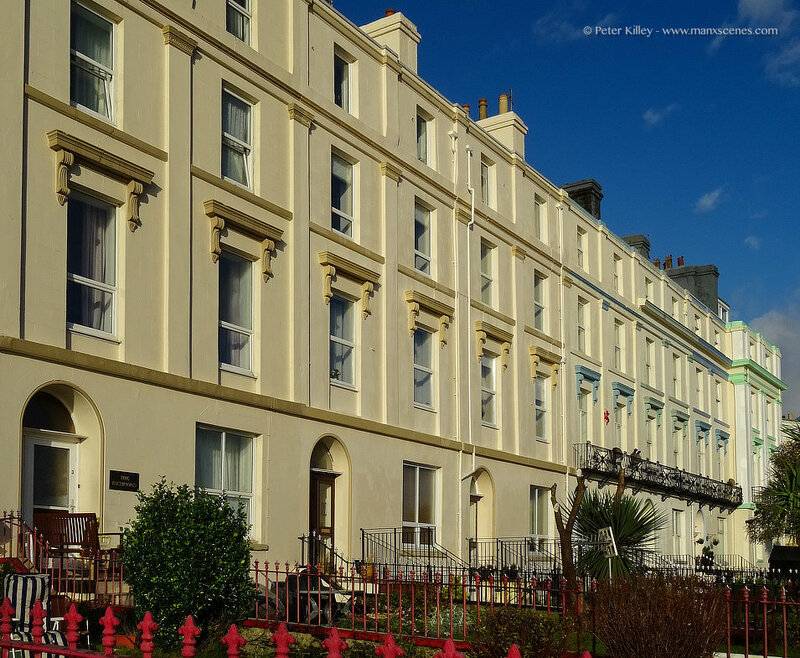 Architecture on Clarence Terrace (Douglas Promenade). These properties were originally laid on the lawns of the Castlemona Hotel. 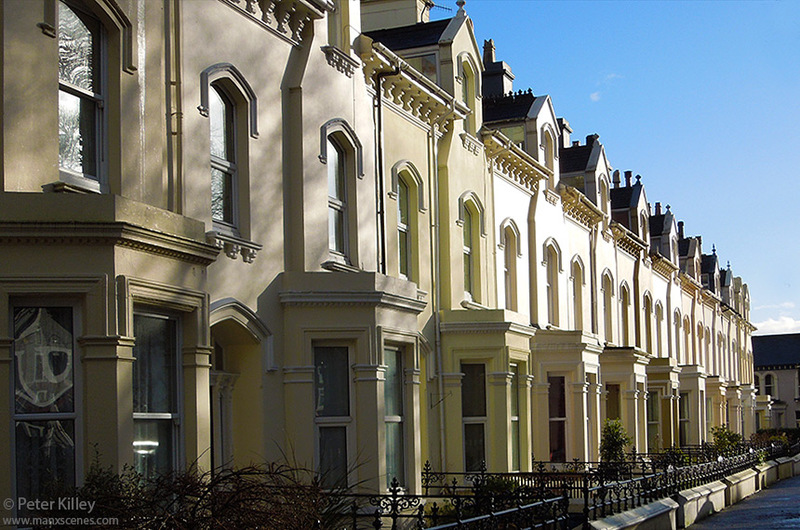 They are dated circa 1840 and I particularly like the old style architecture on these buildings, namely the arched doorways, the window pediments above the first floor windows and the old cast iron balconies that remain on some of these Victorian properties. 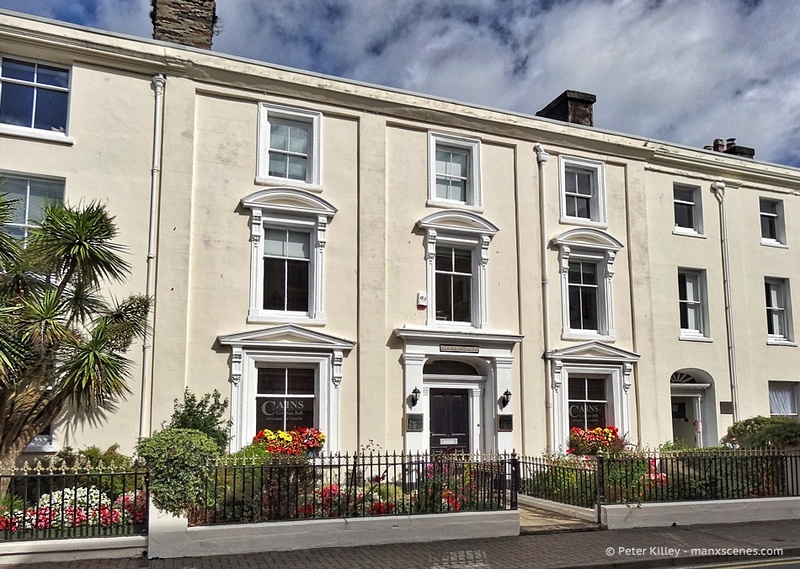 The former Hotel’s on Port St Mary Promenade. 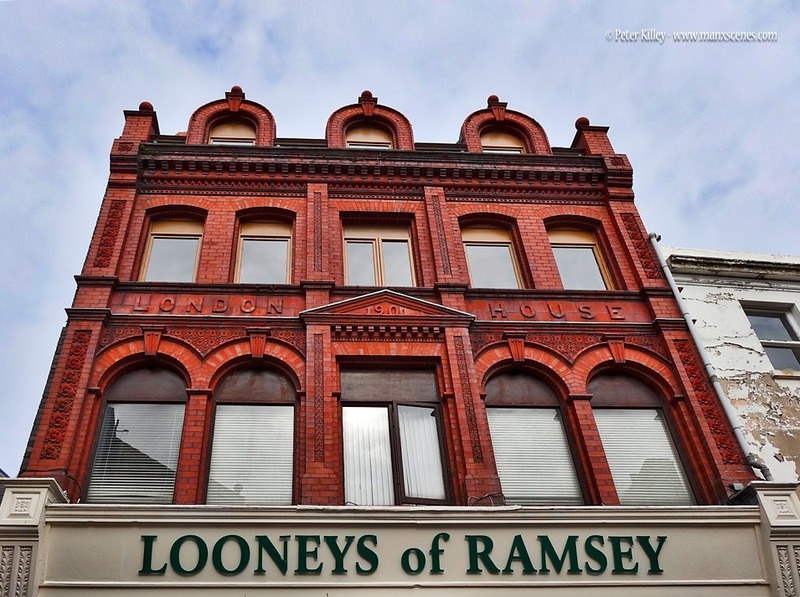 I love the fine architecture of this building in Parliament Street in Ramsey, sometimes it really does pay to look up at some of our glorious buildings on the Island. 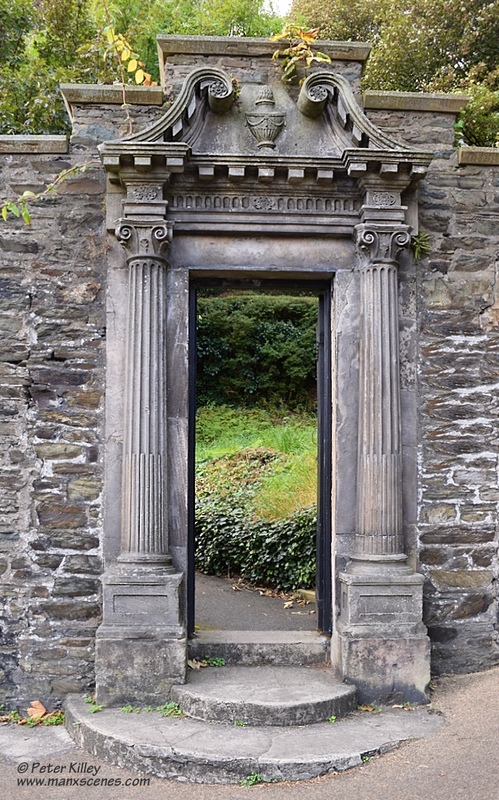 The aedicule (doorcase) came from the Market Inn Pub in Chapel lane in Douglas and was preserved by erecting it at the bottom of Crellins Hill which is the bottom entrance to the Manx Museum. 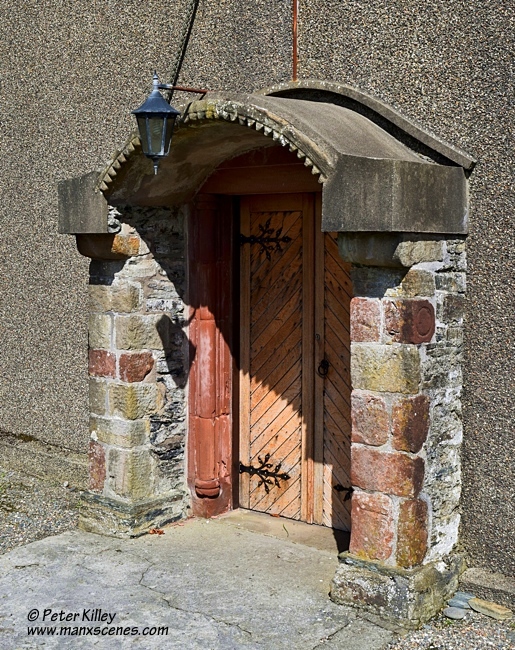 Click Here to see the aedicule when it was still in situ at the Market Inn. 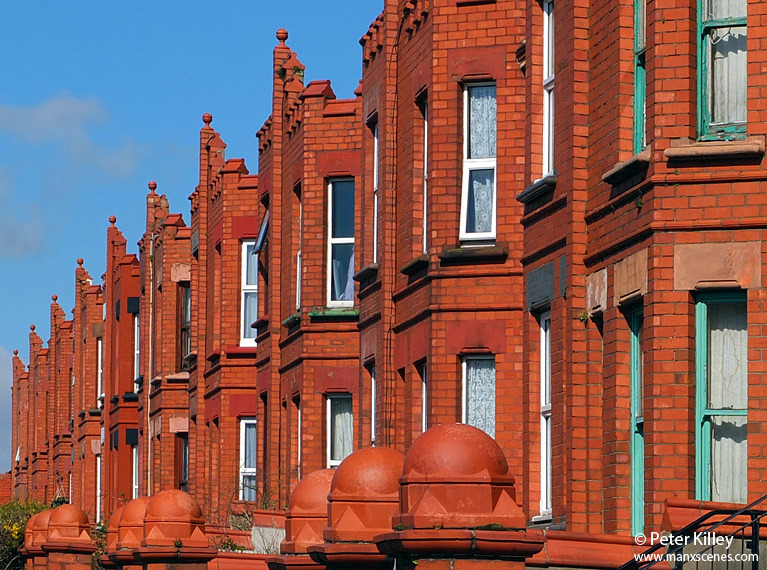 I just love these old traditional houses, with it’s associated architecture and you generally don’t see many buildings constructed like this anymore. 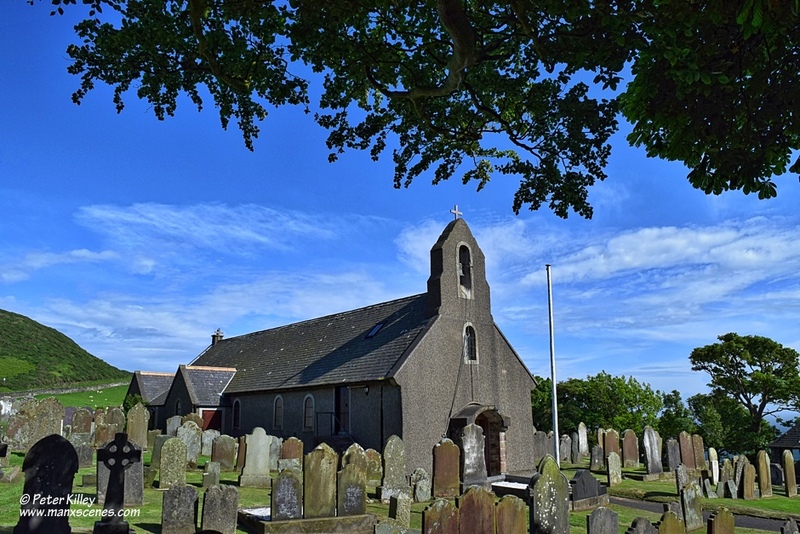 We had a walk around this lovely Church and the Graveyard the other day. The image of the Porch shows ‘The Orouboros’ or the snake swallowing its tail inscribed into the upper right sandstone block which is built into this porch, snakes have many symbolic meanings, good and bad, but this one is universal, it represents the concept of infinity – and of the end being also the beginning, we can only guess how this stone came to Maughold Church! 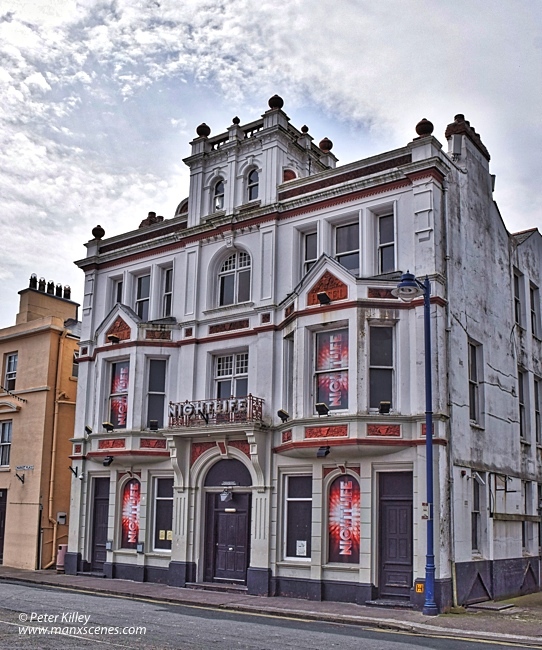 Now better known as Nightlife, this building has been in Market Place in Ramsey since at least 1846. The building is an Isle of Man Government listed building and looking at the beautiful architecture you can understand why that is. If you look up above the first floor windows you can see Saddle Hotel inscribed in the stonework with carved saddles below. A blacksmith used to have his foundry in the lane that runs alongside and I wonder if this has some connection to the name ‘Saddle Hotel’? 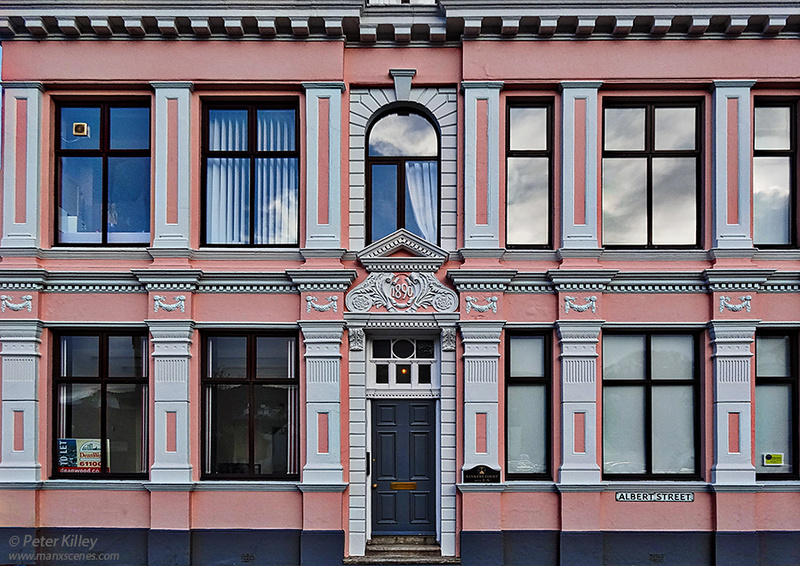 I just love the design of this beautiful building in Albert Street in Ramsey, the building is called Bankers Court. 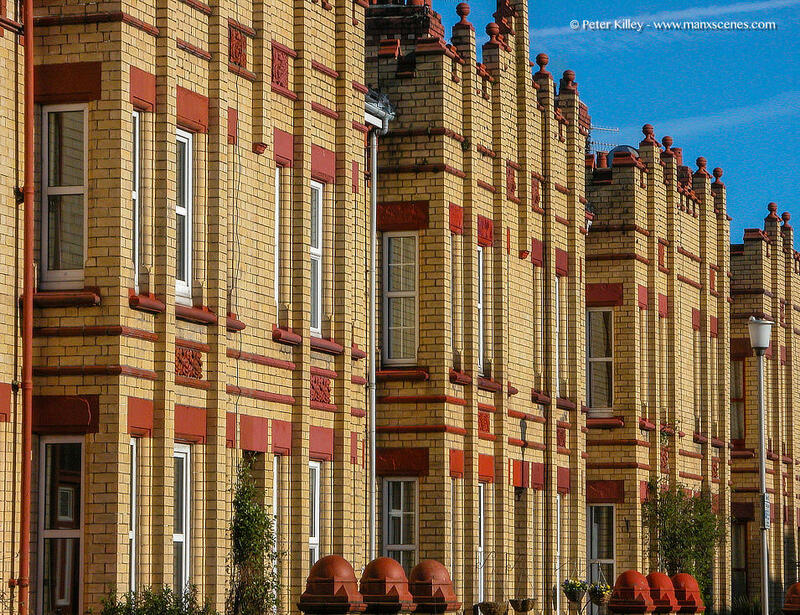 You certainly do not see many buildings built like this anymore! I had to crop this image very tight due to lots of distractions around the building. 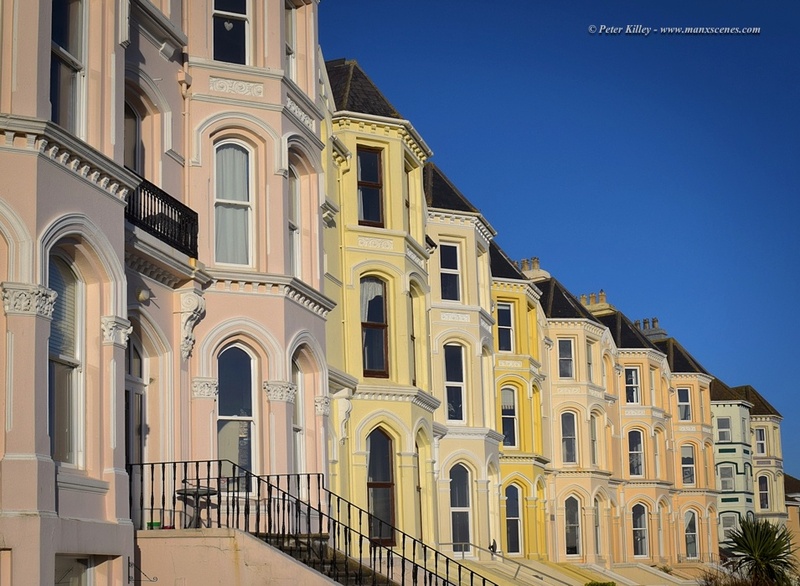 In between the heavy wintry showers today I could not help take this image of the winter sun lighting up and highlighting this fine row of houses on Queens Avenue in Douglas. Whilst out for a walk yesterday (28th Dec 2011) I could not help to capture this image of the church whilst the sun was out. 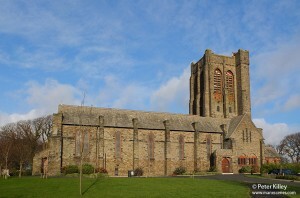 The church was constructed as a result of a bequest in the will of Henry Bloom Noble, his trustees provided land, at the junction of St Ninian’s Road and Ballaquayle Road, and money for the construction of this beautiful church which was completd in 1913 and consecrated as a parish church the following year. The architect was W.D. Caroe and the church is constructed of local slate and its tower dominates the landscape and indeed the skyline of Douglas. 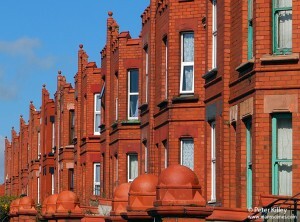 The image was captured on my Fuji X10 camera, resized and cropped in Adobe Photoshop CS5.